Since he did not update the mod for a long time, I decided to re-implement it. So I made a mod called "Light Level Overlay Reloaded". The default shortcut key to turn on/off light level overlay is F4. You can change it in "Options -> Controls". You can use Shift + F4 to toggle sky light calculation. Ctrl + F4 to toggle overlay display mode. No Mob Spawning on Trees: A mob spawn control mod with easy and powerful configurations. Any news on progress towards a 1.13.2 release? I really miss this mod. Minecraft Forge 1.13 is incomplete. During the migration I found even the Forge's keyboard input event is not implemented. So I still need to wait a bit of time until I can actually start writing the port. 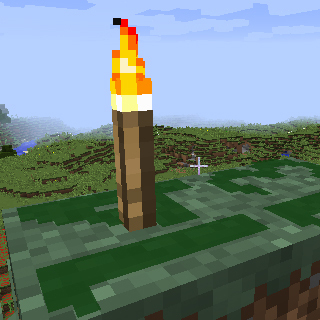 Me and my friend really love your mod, it's saved us thousands of torches . Are there plans to update to 1.13.2? We're patient people so take your time! Thanks! is this Client side only? can we get this for 1.12.2 please? just want you to check the twitch curse side, for apparently the launcher does not see any files for this mod, so when i check up on your mod in the twitch launcher no pack/ pack versions comes up. good mod love it and help's alot. that's because he never retagged it for 1.12.2 and he hardly if ever logs on to see that there is a problem. Look for Torch Optimizer instead. Yes, it won't do anything on a server. does that mean I cant use it on a vanilla server? Client mod, so server don't need it for you to use it. I wish CurseForge separated the client mods from the server mods. That would be nice eh? Is it possible to fix the mod so red numbers are not shown on carpets and some other places where nothing is able to spawn? For example on slabs it works this way. Hey, mate! Can we get this mod bumped to 1.12.2? Does the 1.12.0 work on 1.12.1/1.12.2? Could we get a 1.12.1 version update, please?